Berlin, Germany. 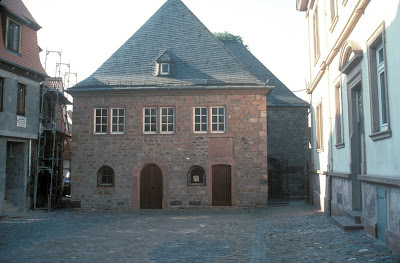 Jewish Museum. Photos: Samuel D. Gruber, 2003. 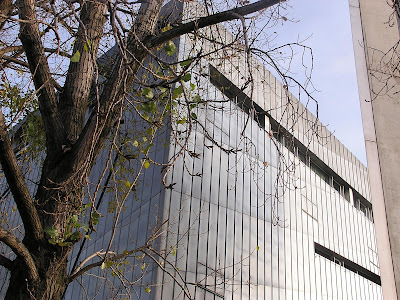 The Berlin Jewish Museum unveiled plans in mid-May for an expansion to be completed by the fall of 2011. 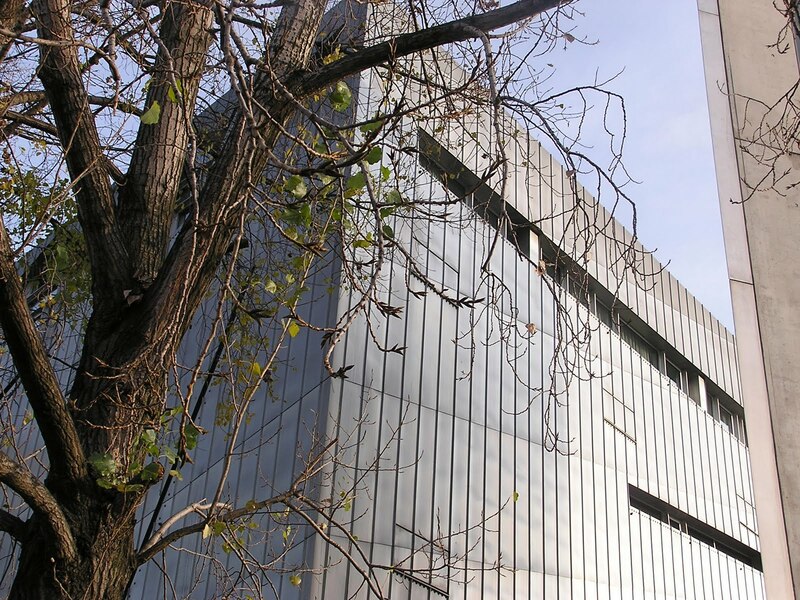 The new facility, located across from the current site on Lindenstrasse will be designed by Daniel Libeskind, architect of the Museum's original zig-zag building which opened in 2001. 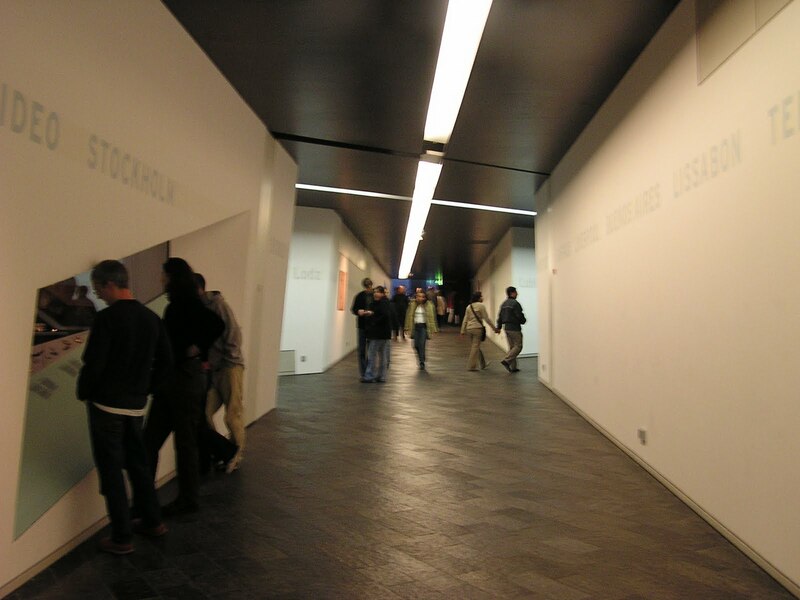 Since then there have been more than six million visits to the museum, with 750,000 visiting in 2009. During the past decade the Museum has increased it programmatic, educational and archival offerings requiring more space. The Jewish Museum consists of two buildings, the Kollegienhaus, a former Baroque Prussian courthouse which was originally the Berlin City Museum to which the first Libeskind building was added, connected by underground passageways. A few years ago the Museum built the glass courtyard, also designed by Libeskind, between the rear wings of the Baroque building to serve as a venue for large gathering and events. The 10-million-euro (12.7-million-dollar) extension will consist of the conversion of a large existing warehouse currently housing a flower market, to which will be added three cubes for entrance, library and auditorium. Worms, Germany. Synagogue, 17th vestibule to women's hall seen from Judengasse. Five months after arsonists serious damaged the historic Etz Hayyim Synagogue in Crete, another restored historic synagogue has been attacked - but fortunately there was no serious damage. 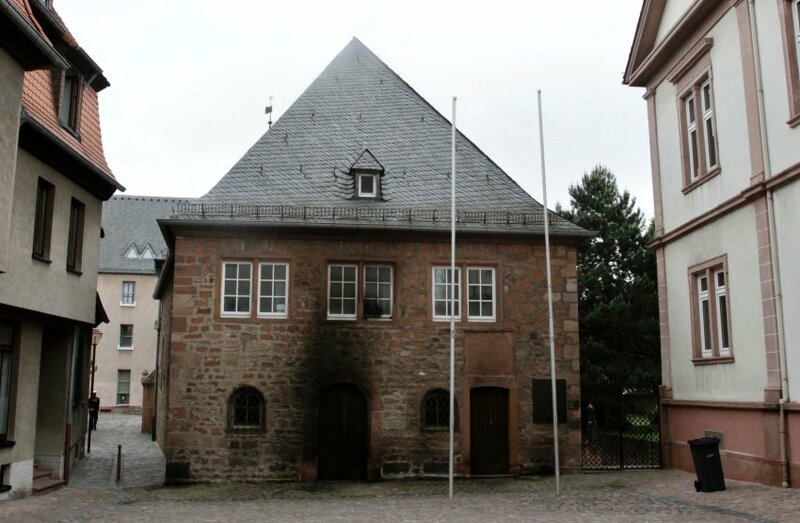 On May 17th fires were set around there the synagogue in Worms, Germany, apparently by pro-Palestinian protesters. The local fire department responded quickly. Reports say that police found eight copies of a letter that read, "Until you give the Palestinians peace, we will not give you peace." Worms, Germany. 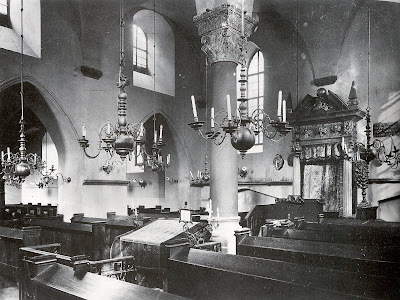 Synagogue in in pre-1938 photos. The Worms Synagogue in its post-World War II rebuilt condition, is the oldest intact synagogue in Europe. It consists of several sections built at different periods, beginning in 1170, when they rebuilt the building from 1034. The men's hall (1175) was divided by two columns on the east-west axis into parallel aisles of equal size. The ark stood at the east end; the bimah was between the columns. 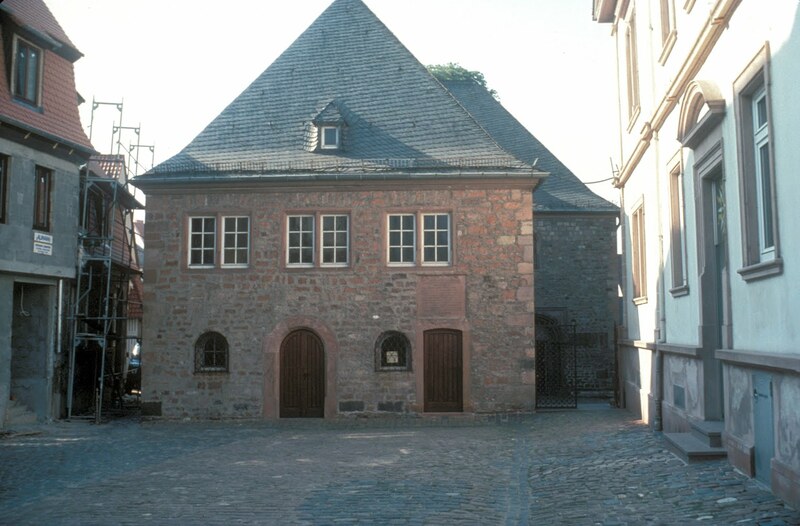 A women's annex, built at right angles to the men's section on the north side, was added in 1213. The synagogue is no stranger to violence. The first synagogue was destroyed during the Christian First Crusade of 1096. Centuries later, the rebuilt medieval synagogue was destroyed by the Nazis. 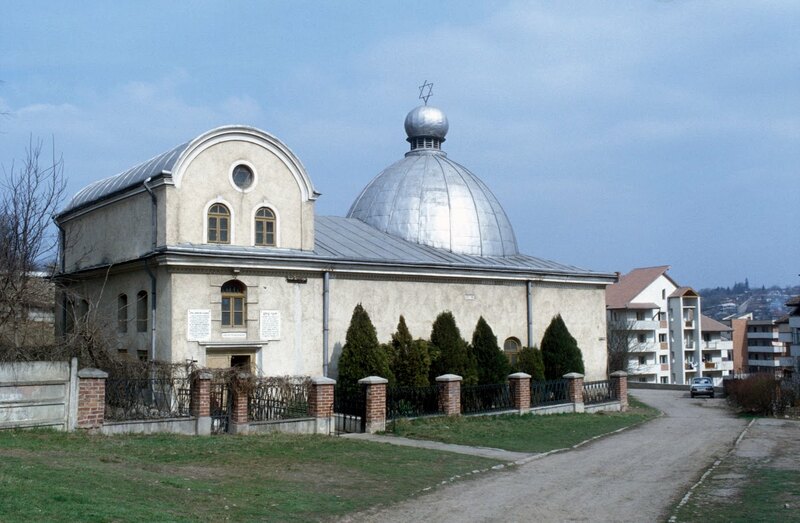 It was totally rebuilt from the rubble in one of the first successful post-Holocaust synagogue restoration projects. It was reconsecrated in 1961 and is used as both a museum and a locus for occasional religious services. Polskie Radio has reported that head of the Helsinki Commission for the United States Congress, Senator Ben Cardin, has criticized Poland for delaying the process of dealing with the restitution of Jewish property confiscated during and after WW II. least to solve the problem. “Successive Polish governments promised that the nissue of compensation will be dealt with. None has done anything about it,” he said. In March 2001, the Polish parliament approved a law for the restitution of private property, though the right to file a claim was limited to nthose with Polish citizenship as of December 31, 1999. The law was subsequently vetoed by the President of Poland. The Terezin Declaration, a nonbinding set of guiding principles aimed at faster, more open and transparent restitution of art, private and communal property taken by force or under duress during the Holocaust, was approved at the Prague Holocaust Era Assets Conference in June last year. Poland was a signature to the non-binding agreement. Senator Cardin added he was aware that due to the relocation of borders and massive resettlements of people following the war, property restitution in Poland is a complicated issue. “Solving of the problem is difficult but not impossible” he added. Art Knoweldge News reports that "a portrait of a child with her pet rabbit by Belgian artist, Antoine (Anto) Carte that was looted by the Nazis during the Belgian Occupation has been returned to its owner after the Art Loss Register (ALR) located it in the hands of an art dealer from Long Island, USA. 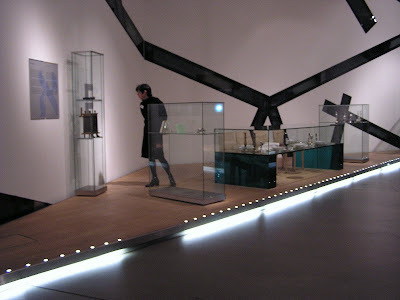 'Jeune Fille a la Robe Bleue' (1932) was the centrepiece of a hand-over ceremony at the Jewish Museum of Belgium on 1 December 2009. The Jewish child in the portrait fled Brussels with her family during the Nazi Occupation and survived the war hiding in the Belgian countryside. 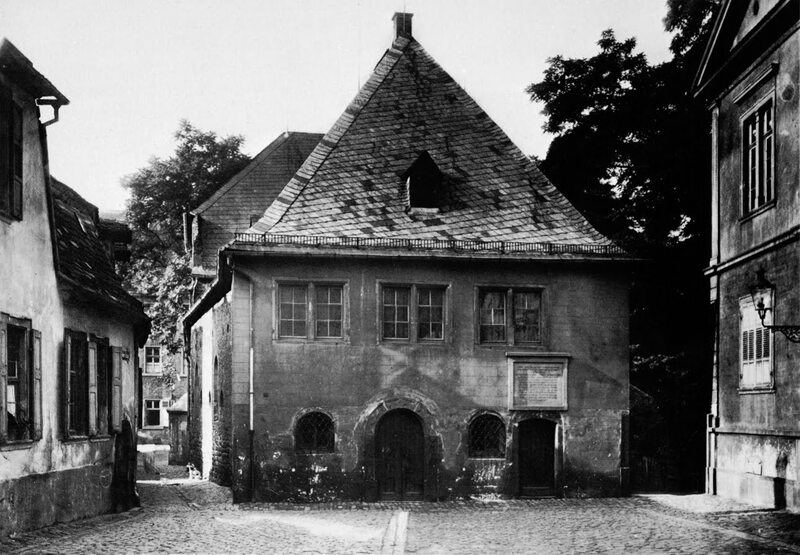 The family's abandoned apartment in Ohain was looted in 1944 and five oil paintings, including the Anto Carte portrait, disappeared. For a photo and the full story click here. Years of work culminate this week with the formal rededication of the historic White Stork Synagogue in Wroclaw, Poland. 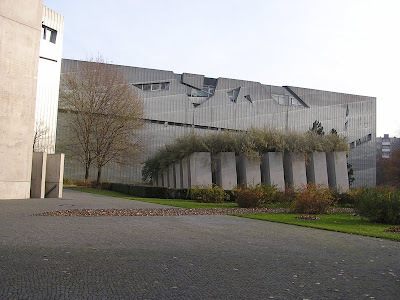 I have written about this synagogue, its history and the resotration project before. According to the JTA "Events through May 9... include an inaugural ceremony, concerts, art exhibits, guided tours, religious services and an international conference on Jewish life in the city." 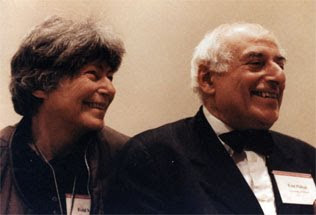 Today is the first anniversary of the death of Raina Fehl, esteemed art historian and with her husband Philipp Fehl, co-founder of the International Survey of Jewish Monuments. Raina touched the lives of many people around the world, and for people like me, she had a profound influence. Unintentionally, but quite persistently, she is largely responsible for my career in service of the documentation, protection and preservation of historic Jewish sites worldwide. Raina's daughters Katherine and Caroline have begun a lovely webpage in honor of their mother. Raina and Philipp were a team, but Raina had her own personality, interests, skills and accomplishments. While Phillip was often the more public presence ISJM, it was Raina that sustained the organization for twenty years. I was always closer to Raina than Philipp. She did research, carried out extensive multi-lingual correspondence (this was in the pre-internet days), organized conference sessions and wrote always informative and often essential newsletters. At the time these were the only compilations available of current information about historic Jewish sites. Raina wrote about new developments in Germany, she research the Roman Ghetto and Jewish Cemetery, and she kept abreast of a growing literature in many languages about the location, history, condition and use of Jewish sites. At a time when there was little news of former synagogues and cemeteries in Eastern Europe and North Africa, Raina made an effort to chase down and publish. Together, Raina and Philipp knit together a diverse band of scholars, activists, enthusiasts and the plain curious to create a "community of interest" about Jewish monuments. It is hard to explain to younger scholars, curators and preservationists today that only 35 year ago the topic of Jewish art and architecture was hardly spoken of, and for Jewish architecture and historic sites, ISJM - the creation of the Fehls - was a unique world resource. Both Philipp and Raina readily - eagerly - engaged, encouraged, and cajoled many scholars young and old to look at Jewish monuments of all types for their own sake, and also in their place in world art and cultural history. That world - or art and culture - was something that Raina knew something about. She was born August 23, 1920, in Vienna where she received a strong classical gymnasium education (Matura, 1938) as the daughter of the poet/author/civil rights attorney, Erich Fritz Schweinburg and Rosa Gussman Schweinburg. Raina immigrated into the United States, in 1939, after the Nazi annexation of Austria. She became a United States citizen since 1944 and served in the U.S. Army Service in 1945-1946 as psychiatric social worker, and as a research analyst for the Nuremberg War Crimes Trials in 1946-1947. Despite an obvious practical streak in her make-up, perhaps enforced by her early life experiences, Raina seems also to have inherited poetry and generosity of spirit from her parents. These traits - necessary practicality and poetic adaptivity were, of course, magnified when she married Philipp in 1945. In America, Raina received her B.A. in history and English from the New Jersey College for Women, Rutgers, 1939-1942, B.A. and continued to study throughout her life, with specialization in German language and philosophy and classics. She also served as a (usually uncedited) collaborator with Philipp on many art historical research projects. To my knowledge, it was only in the newsletter of the ISJM that Raina regularly published interesting and often erudite articles and reviews under own name. For the last several decades of her life she and Philipp were invovled in two consuming projects, the publication of Franciscus Junius the Younger, The Literature of Classical Art: I. The Painting of the Ancients. London 1638. II. Catalogus Architectorum, Mechanicorum sed praecipue Pictorum, Statuariorum …. Rotterdam, 1694 (A critical edition and translation by Keith Aldrich, Philipp Fehl and Raina Fehl. University of California Press, Berkeley, California, 1992) and The Art and Architecture Library of Count Leopoldo Cicognara (1767–1834), a reprint on microfiche of all the works contained in the Fondo Cicognara of the Vatican Library (circa 5000 books and pamphlets). The publication program, known as the Cicognara Project, is a joint venture of the Vatican Library and the University of Illinois Library. Philipp Fehl was the editor-in-chief until his death in September, 2000, and Raina continued the work through much of the following decade. In 2007, Raina saw to press Phillip's Monuments and the Art of Mourning: The Tombs of Popes and Princes in St. Peter’s (Unione Internazionale degli Istituti di Archeologia, Storia e Storia dell’Arte in Roma. 2007). I first met Raina and Philipp at the American Academy in Rome in 1987. My recollection is that it was over lunch. We got to talking about Jewish art and historic sites - synagogues, cemeteries, etc., something about which at the time I knew almost nothing (I was working on my thesis about medieval urbanism, and also was involved in Early Medieval monastic archaeology). I the manner of many grad students, I put up a good front and marshaled those few bits of information I did possess, to feign some knowledge, and that was enough for Raina and Philipp. In no time at all I was pulled into the world of Jewish monuments, or rather into the sometimes erratic orbit with which the Fehls and ISJM circled the subject. After that lunch my life was never the same. When Raina heard that I would giving a paper at 1988 College Art Association in Houston (on the transformation of medieval houses in to Renaissance palazzi) she quickly booked me to also speak about rural American synagogues - the topic we had chatted about at the Academy lunch - at the ISJM session also scheduled for CAA. In the end, the Fehls didn't even make it to Houston - they were snowed in at Chicago - but I gave my little talk (and chaired the session) and my "Jewish" career had begun. As she almost always did, Raina first imposed upon me and then amply repaid the favor. Later in 1988 she was one of several people who recommended me to the World Monuments Fund which was looking for someone to help research and conceptualize what soon became the Jewish Heritage Council, now WMF's Jewish Heritage Grant Program. I directed the Council for four very active years, and then continued to consult, and Raina was always a trusted and essential adviser. Soon after taking the job I made a pilgrimage to the ISJM office at the University of Illinois at Urbana where I sat for several days under Raina's tutelage and rummaged through files, getting a crash education in my new specialty. I have regularly used those files - and amply added to them - ever since. A paper I gave a few years ago (now in press) about mapping the Roman Ghetto used some of Raina's notes on the subject (with her permission), and is dedicated to her memory. I owe a great debt to Raina, and though much of our relationship was by phone and letter, I have many fond memories of her - in Rome, New York , Urbana and Strasbourg and other places where we would occasionally meet. These memories, like her contribution to Jewish Studies, will not die. For more on Raina's life click here.